This is a great way to combine the W Circuit of Torres del Paine, with a visit to the Perito Moreno glacier and three great days of hiking in Los Glaciares National Park. Arguably the best treks on each side of the border. Our guide will meet you at the Punta Arenas airport. Transfer to Puerto Natales, a three-hour drive through the Patagonian pampa. Lodging in Puerto Natales at local hostel or hotel Indigo, dinner and meeting to discuss the trip programme. Trek along Lake Nordenskjold and below the hanging glaciers of Mount Almirante Nieto, to the base of Los Cuernos (5 hours). Lodging and dinner at Refugio Los Cuernos. This valley, the most beautiful in the park and one of the most unique in the world, is surrounded by hanging glaciers and an amphitheater of granite walls and spires(4-5 hour roundtrip). 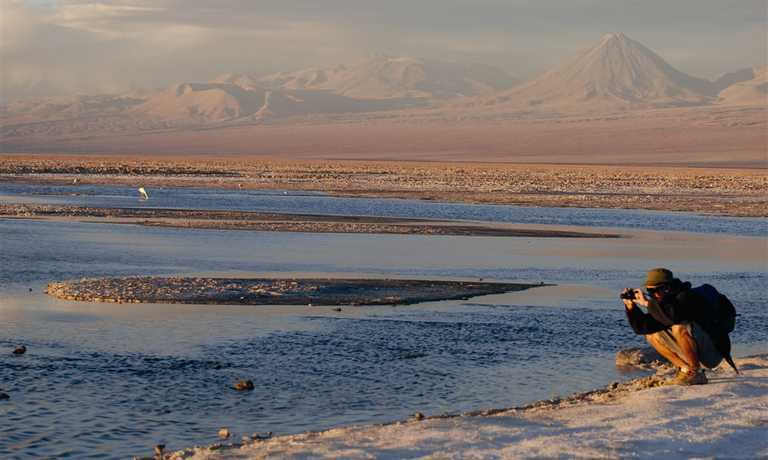 Afterward, we will trek to the extraordinary turquoise Lake Pehoe (2 hours). Lodging and dinner Refugio Pehoe. Trek along enchanting Lake Grey (3-4 hours) with magnificent views of Glacier Grey and floating icebergs. 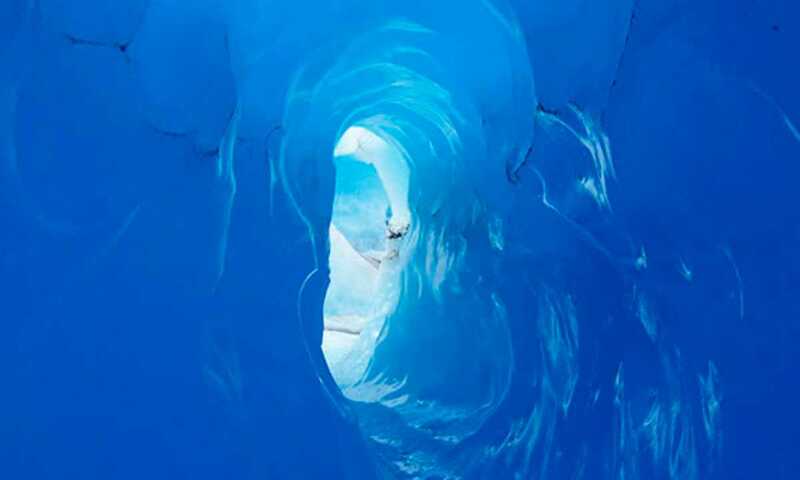 Visit the glacier lookout point and the lakeshore for close views of vibrant-blue icebergs (Paine is a Tehuelche Indian word for 'blue'). At lunch time we will navigate in Grey II boat, 2 hours navigation in this magic lake surrounded by ice icebergs. Transfer by van to Puerto Natales, lodging and dinner in local hostel or hotel Indigo. Travel by regular bus to Calafate (5 hours) to this cozy town, afternoon free, lodging and dinner in this town. Hostal El Glaciar. (dinner not included). After breakfast we will begin our tour to Glacier Perito Moreno. One the most spectacular glaciers on the Southern Patagonian Ice field. Walking along the terraces you get a close view - great for photos, and you may even be lucky to catch a glimpse of ice calving into the lake! Lodging and dinner in Hostal del Glaciar. We continue by regular bus in Argentina and to the new town of El Chalten, the gateway to Los Glaciares National Park. Afternoon free to wander around this small town that has a stable population of 300 people. Accommodation & dinner at a local hostel in Chalten. Day 9: Trekking to Cerro Torre. We start with a short uphill section until reaching the first viewpoint of the valley, from where the Cerro Torre group and valley is entirely visible. Then, we continue until we reach the Laguna Torre. Approximately 9 km away from town. The trail runs through a glacier originated valley. The lagoon features the Torre Glacier calving on the far side, and the Cerro Torre group & spires rising in the background. Trekking time 3-4 hours. 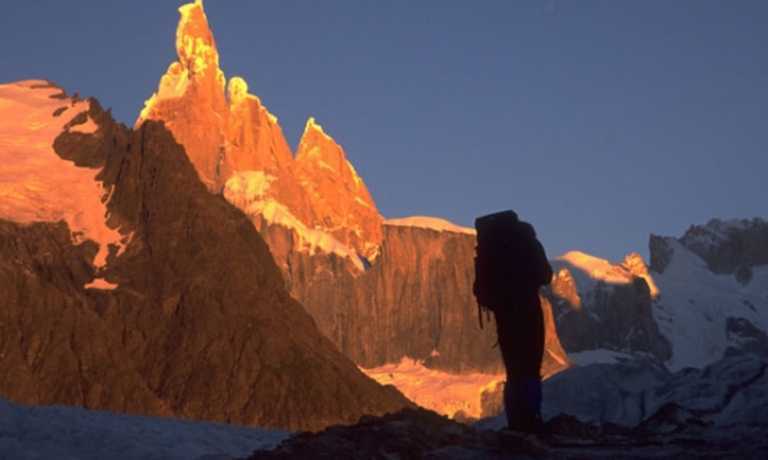 At just 20 minutes from the lake, we will camp at our full camp Thorwood which offers the photographic view of Cerro Torre and the sounding rock spires. Trekking to Fitzroy. We will leave our camp and heading East we will trek back towards the trail that leads us to the Laguna Madre y Hija. Here we continue to Rio Blanco (base camp for climbers) and to Laguna de los Tres which is the end of the trail and one of the highlights of the National Park. The panoramic sight of the spires and glaciers from here are breathtaking. It's 2 hrs to Rio Blanco and 1 hour of steep climb to Laguna de los Tres. We will descend to Capri camp for the evening.Total Trekking Time: 6-7 hours. Day 11: Rio Blanco & Glaciar Piedras Blancas. 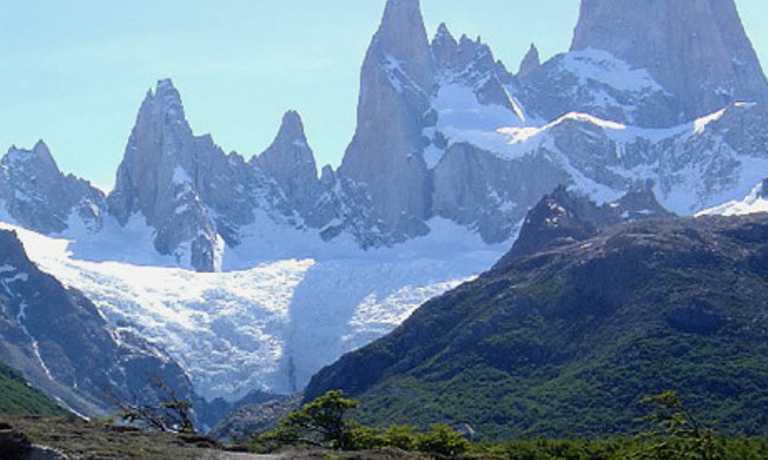 Today we will hike to the viewpoint of Piedras Blancas Glacier where we can appreciate how the glacier falls into the lagoon below and get a head on view whilst eating lunch. Afterwards we will continue trekking above Rio Blanco through the abundant lenga forest. We will arrive at Hosteria Pilar with time for a coffee whilst our transfer arrives to take us from Rio Electrico bridge , back to town. Trekking time is 4 hours. We will have an early dinner before we will take the bus at 6pm to get back to Calafate. Lodging at Hostal Glaciar. Regular bus back to Puerto Natales. Time off for Souvenir shopping or relaxing. Lodging at local hostel or hotel Indigo. Transfer to Punta Arenas airport.